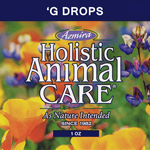 Homeopathics – ‘G Drops 1 fl. oz. Homeopathics – CS Drops 1 fl. oz. Homeopathics – D’Toxifier 1 fl. oz. Homeopathics – EC Drops 1 fl. oz. Homeopathics – Flexi Drops 1 fl. oz.